L-W-O does not receive any funding and relies heavily on donations, we keep our sites advert free but to do this we rely heavily on the donations of our members, followers and supporters. We need to raise £1000.00 per year for the upkeep of our website, promotional materials, insurance and community work. L-W-O is voluntary and none of volunteers gets paid including our Founder. Please support the work we do in raising awareness, providing information and supporting those of us who live with Lymphoedema. According to Lymphoedema Ireland there are now more searches through Google for the spelling Lymphedema. Lymphoedema is often shortened to 'LE'. There are two types of lymphoedema, Primary and Secondary. Primary lymphoedema develops as a result of a fault within the lymphatic system usually as a result of genetic underdevelopment or weakness of the lymph conducting pathways. It can affect men, women and children at any age. Secondary lymphoedema is a failure of the lymphatic system as a result of damage to a normally functioning lymphatic system. For example, injury, trauma, or cancer treatment. Lymphoedema can occur as a result of infection, severe injury, burns or any other trauma that can damage the lymphatic nodes, vessels. It can also arise as a result of the venous system not working efficiently i.e. those who have a deep vein thrombosis (DVT), varicose veins or ulcers. Those patients suffering from lack of muscle movement i.e. those suffering from a stroke or Multiple Sclerosis may also be at risk. In the case of Lymphatic Malformations as a family we were told that our Great Granddaughter's Cystic Hygroma was a result of the lymphatic vessels not developing properly in the womb. The lymphatic system is made up of groups of lymph nodes throughout the body which are connected by a network of lymph vessels. For more information visit our page on the lymphatic system. With me it is always a heavy dull ache, sometimes a warm sensation and some of my friends experience pins and needles. Lymphoedema is an incurable, life-long condition that is managed and treated through various massage techniques, good skin care, movement and the daily wearing of compression garments. 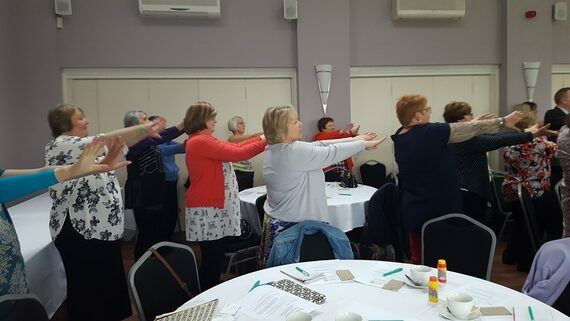 Self-management of lymphoedema is so important and I cannot emphasise enough how you must learn to help yourself. Lymphoedema takes a while to come to terms with, as you do, the more positive you can be about your condition then the easier it becomes to live with. Please remember that lymphoedema is manageable with the right treatment. As far as I am aware there is very little psychological help for those of us living with lymphoedema. A support group like L-W-O is invaluable to those of us living with this condition. I identified a need for more support and there were a couple of very small groups in the UK. Our online platforms are giving support and listening when there is no other help available. Many of us feel the system from diagnosis to treatment plans and support have let us down. Sadly, treatment is not always available on the NHS. This whole journey has been a steep learning curve, from the early days of gathering information after my diagnosis in 2011 to publishing the website and community page in September 2013, followed by our support group in 2014 and then our other social media platforms. Now wherever you live in the world it is those of us that live with lymphoedema who have organised ourselves to support each other. Between us globally we can operate 365/6 days of the year 24/7. Sometimes it is as simple as having someone else to talk to who understands how we feel. We often use abbreviations when talking about the different aspects of Lymphoedema so these are the most likely you will come across. Although a lot of people don't like the following terms you will come across them. 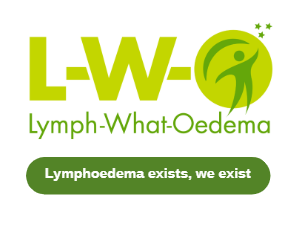 I find that when discussing certain aspects of lymphoedema we tend to talk in abbreviations therefore some of our newly diagnosed members aren't familiar with the terms we use. The contents of this website pages are designed to give you the reader a reference to return to quickly without having fact sheets lying all around your home. You can never find the one you need, and, in the end, you put most of them in the bin. I would like to think that L-W-O has done some of the work for you. To make this easier some of our pages have the 'favourites button' which will allow you to save the page. Please remember everything is written from a patient’s point of view. Read my journey. Lymphoedema has been around for a long time and I am totally frustrated by the lack of funding in the NHS for this growing condition. Some of the NHS areas that have had funding, are now having their funding cut. This is short-sighted. Secondary lymphoedema receives more funding than primary lymphoedema. Please, always, consult your own health-care professional and read the medical disclaimer which appears on the bottom of every page.